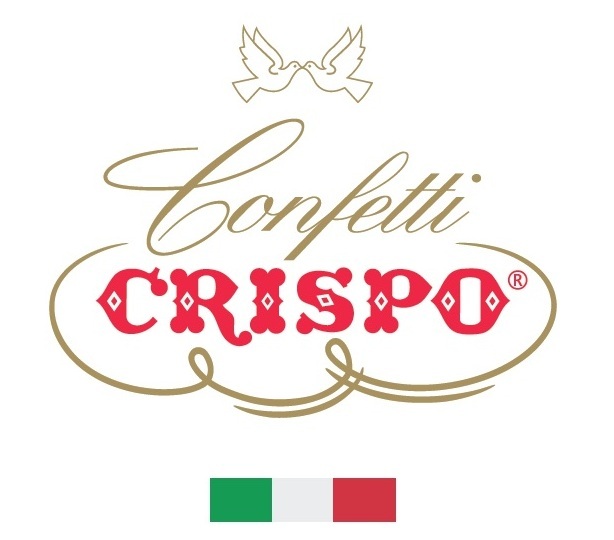 Since 1890 Crispo is a lead Italian manufacturer (two factories) of sugared almonds, chocolate dragees, chocolate praline/sweets and cake decoration items. We export in more than 50 countries and in some asian countries included. We have all the main quality certifications: ISO, BRC, IFS. We do private label. We use for our needs sustainable energy only. 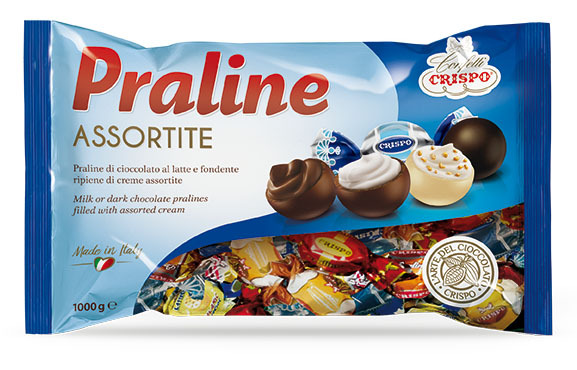 Chocolate Praline Double Wraps filling with flavored creams mixed in kg bag. Available in single tastes and small size bag too. 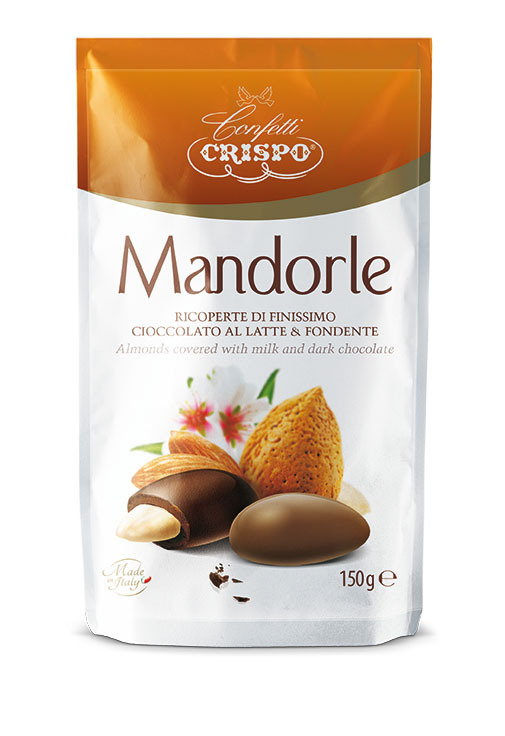 Almonds covered with milk and dark chocolate 150g bag. Available others dried fruits covered with chocolate as well as others sales unit sizes too.